Kids Entertainment Roundup – Including a New Announcement from Disney! It’s definitely a kids entertainment kind of week. Here are some of the highlights. 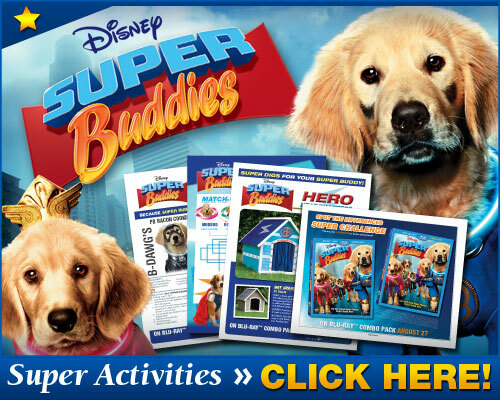 Disney’s Super Buddies is now available on Blu-ray and DVD! Check out my Super Buddies review (and a giveaway!) plus click the image below for some fun, free printable activities inspired by the movie.